We design and produce Custom Electronic LED Sign Projects. We specialize in custom sign monuments and architectural sign structures. We deliver nationally. We welcome any challenge in custom LED Sign Projects (changeable electronic message boards), and can produce anything you can imagine! Please use our online contact form to start your next sign project. We look forward to working with you! We design and produce the BEST outdoor lighted business signs – and we ship nationally. Our products arrive fully assembled, ready to plug in and play. 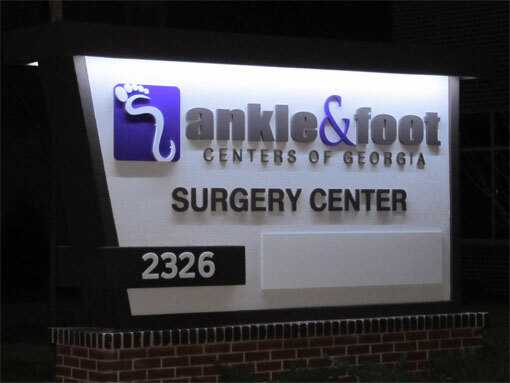 Our signage has the latest in commercial-grade LED technology, which is less than half the monthly utility costs and twice as bright as traditional fluorescent lighting. With a 20 year expected lifespan, our product will pay for itself in utility savings and no need bulb replacements. 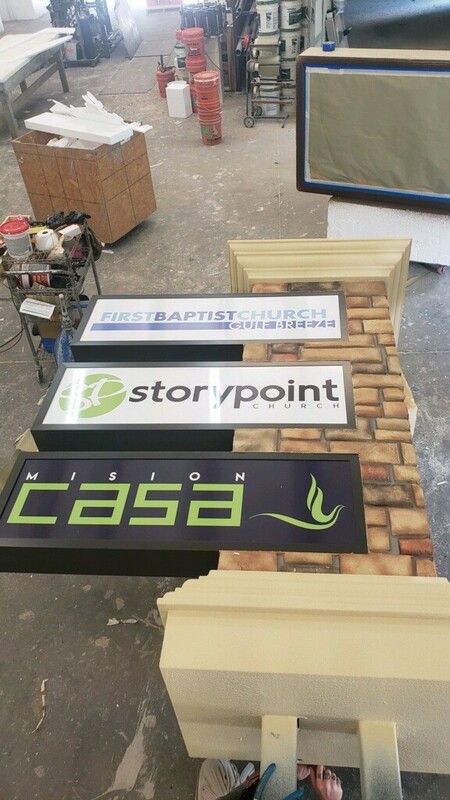 In addition to our business signage solutions, we also produce outdoor lighted church signs. Our commercial grade outdoor lighted signs can be used for community entrance sign monuments. Finally, our outdoor business lighted signs product line includes full-color programmable electronic message boards. Add the ability to advertise any text, graphics – even video and animation in full color! Plug in and play solution! P-10 (pitch 10 millimeters between pixels) resolution, which is better than most in the field (P-16). Full-color graphics that use any font, graphic, or animation. Dual-side cabinets can be wired for independent graphics, meaning two messages running each way. Software controlled brightness, timer, time temp sensor – all bells and whistles included. Cabinet sizes made to order to fit your needs. New laptop with controller software and Team Viewer for remote access training and technical support. Like our sign monuments, we offer the Best solution in electronic LED panels, and at a savings. 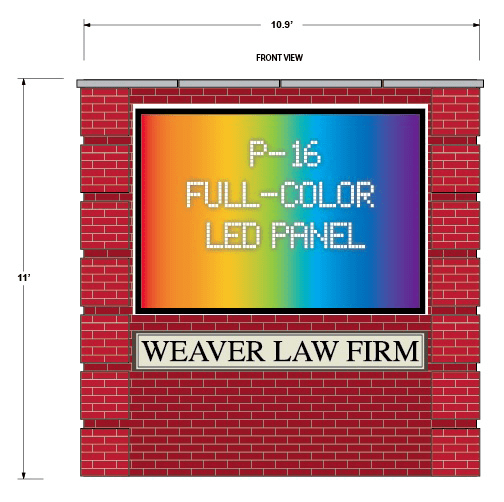 Complete our Contact Form to request a quote on your upcoming LED sign project. 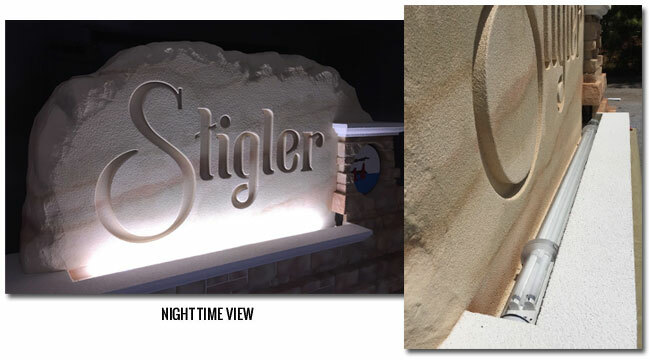 Custom monument signs with integrated LED lighting provide a sense of distinction and permanence to your property. 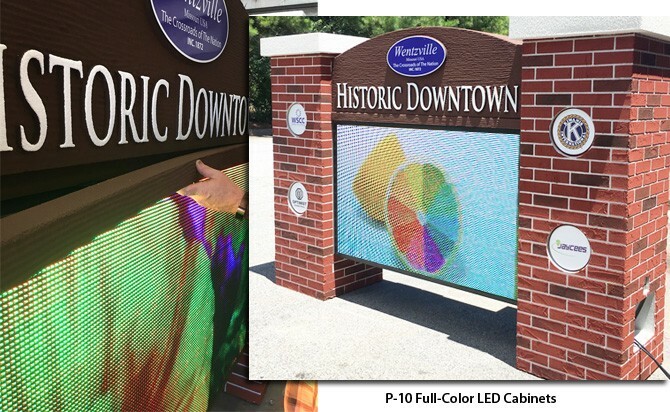 Our outdoor lighted business signs and monuments are the style most desired and required by municipalities nationwide for an all over better looking community. This church in Florida shares its facilities with three congregations. We we asked to design and produce this church sign monument light boxes project as by sharing facilities, they are open at night. This required the sign light up at night, so we integrated a daylight sensor so the three light box cabinets turn on with the sun setting, and off again with the sun rise. Once the design was approved, we then began production. We allow our customers to be involved in the production process by showing photography of projects in progress. We welcome feedback in getting exactly the desired results! The customer wanted us to change the bottom two light box cabinet graphics before shipping, which we gladly performed without any additional fees. 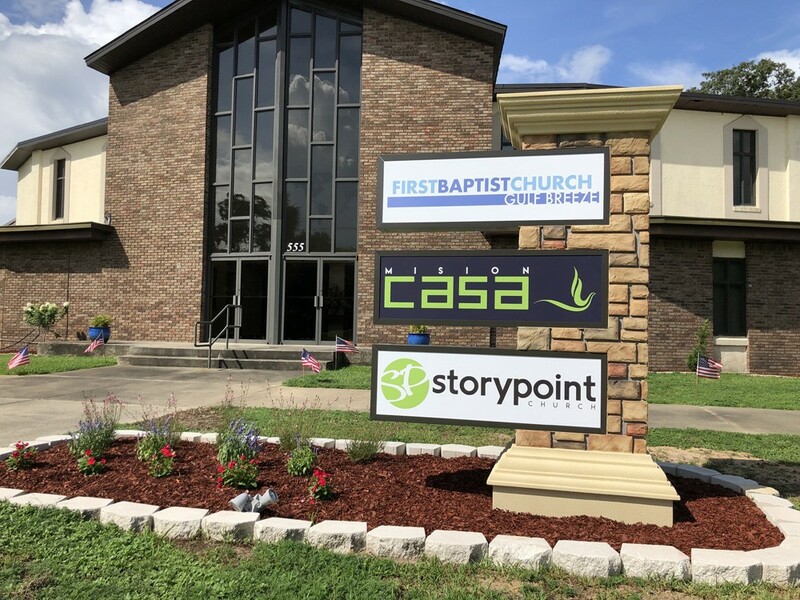 This was an easy fix for us as we design all of our sign projects to be easily maintained with changeable graphics in case the church logos ever change in the future. Note that we also use LED lighting in our church sign monument light boxes. This LED lighting is not only half the costs of traditional fluorescent lighting, but is also twice as bright AND lasts 15+ years! 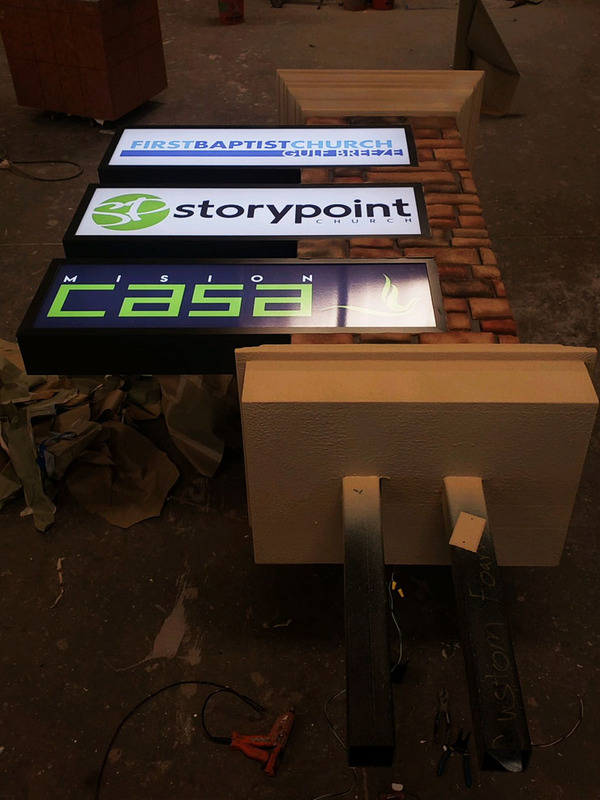 The church sign light box unit arrived fully-assembled with integrated steel posts ready to go in the ground. We even designed the shipping crate to make the installation easier as it would typically want to lean to the left. 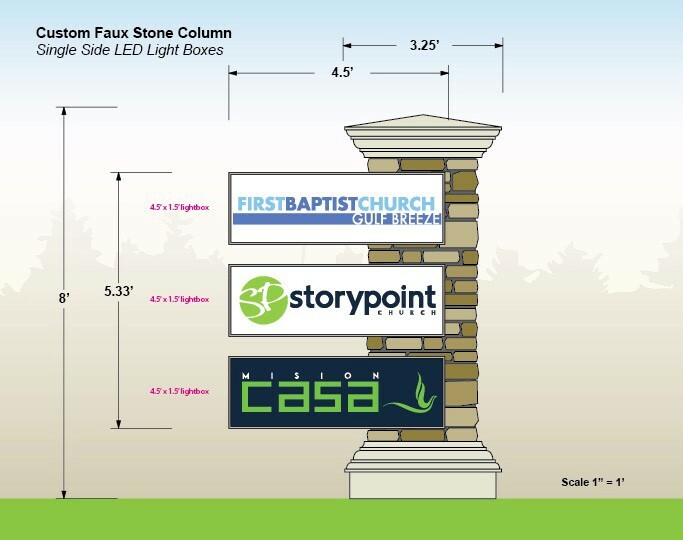 We will design your custom church sign monument light boxes with optional lighting (including electronic LED message boards) to your needs, then manufacturer your project in our facilities in Atlanta, GA. Once complete, we will send you detailed photography (and a night time view if it’s have integrated lighting). Once you approve, we crate and ship your business sign to your location. The unit will arrive fully assembled, ready to position in place. If your sign project has lighting or LED panels, all wiring is pulled to a junction box, ready to plug in and play. 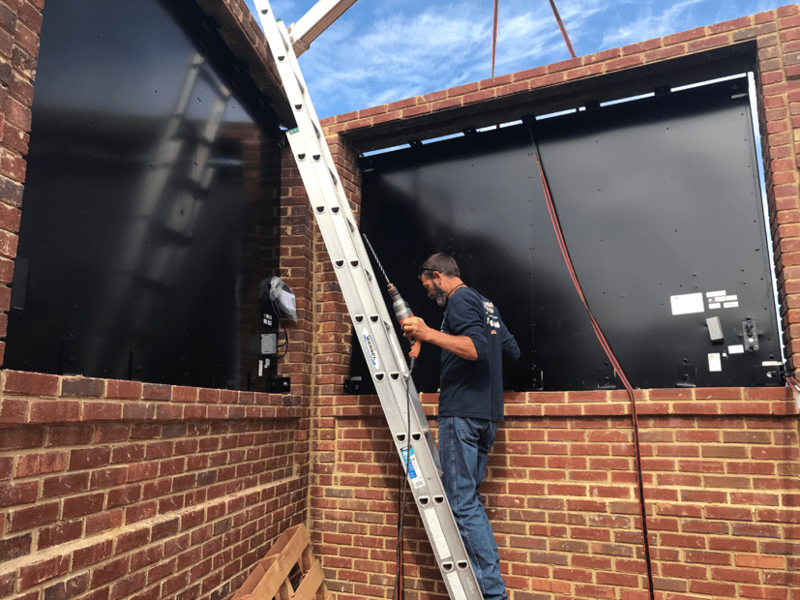 Our team will walk you through every stage of church sign monument light boxes, from design to installation, making the entire process simple and rewarding. 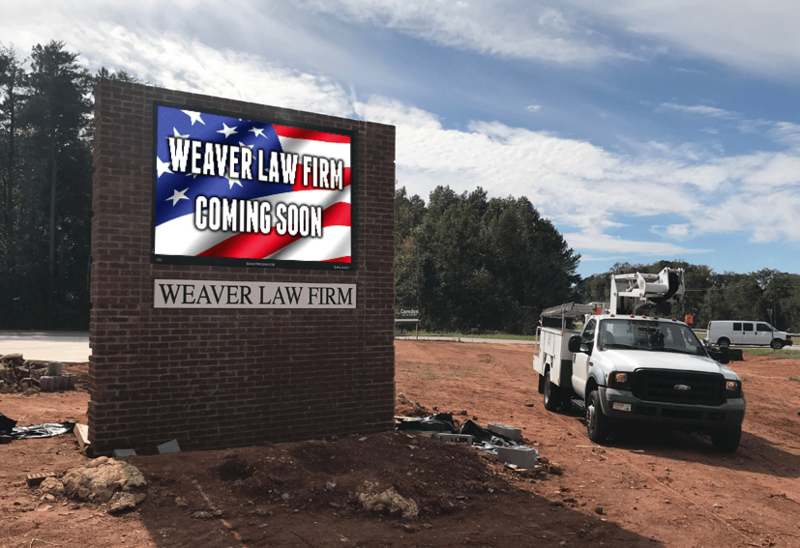 We have sign monument examples in every climate imaginable, and are already set up as approved vendors in City Planning & Development Departments nationally, making Permitting a breeze. 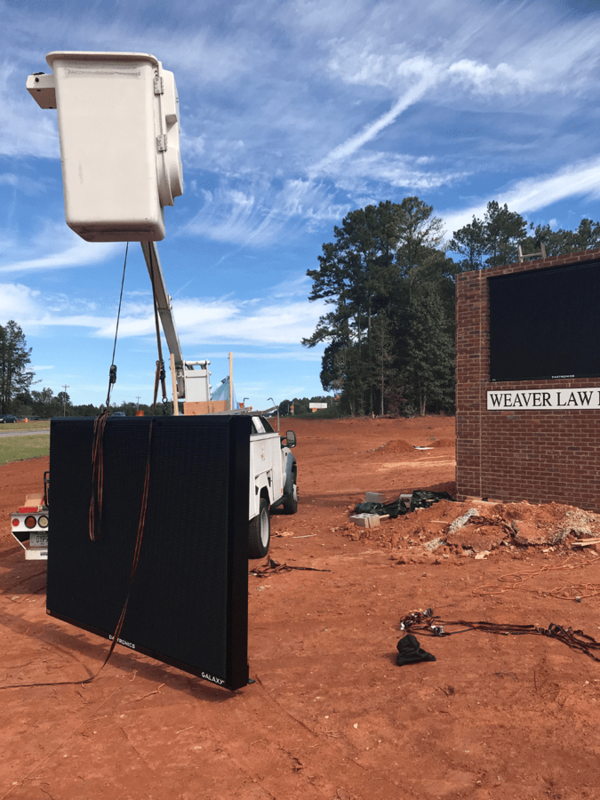 We are in fact the ONLY sign monument manufacturer that has yet to lose a single monument sign in ANY Gulf Coastal community in the past two decades’ hurricanes!